Product Description: Cal Flame Spice Rack For 18-Inch Single And 30-Inch Double Access Doors - BBQ07846P-18. Seamless stainless steel construction provides durability and a clean look to compliment your outdoor kitchen. 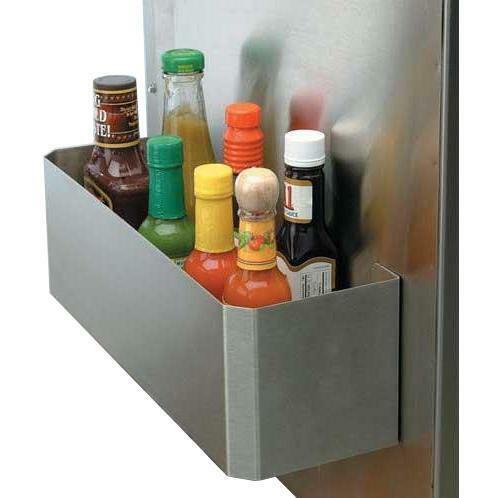 This Cal Flame Spice Rack is made of quality stainless steel, making it rust-free and durable. Keep sauces, spices, marinades, or other necessities within convenient reach. Attaches to Cal Flame 18-Inch single and 30-inch double access doors.